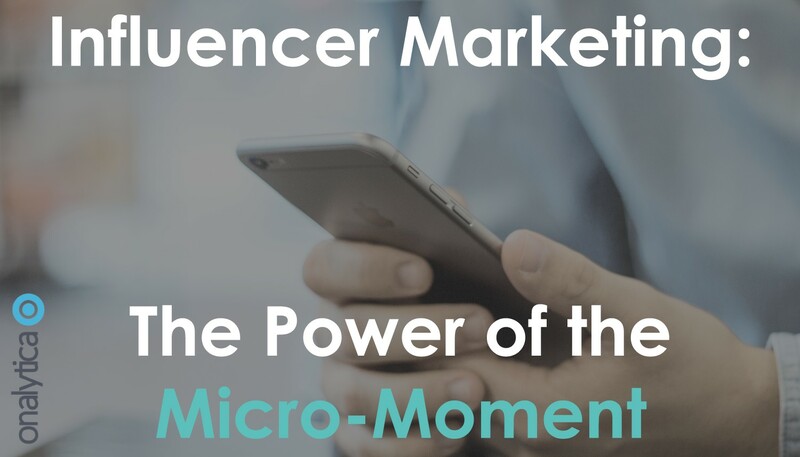 Influencer Marketing: The Power of the "Micro-Moment"
A micro-moment (a term first introduced by Google in 2015) is the eureka moment in marketing and advertising in which the penny drops for the consumer; the moment they choose to enter the buying journey. The nature of this micro-moment depends entirely on what you’re offering as a brand and in turn the type of customer that you’re targeting. However, generally speaking, micro-moments are evolving, as your average consumers’ buying habits are changing. Once upon a time traditional advertising was the norm and it was effective; consumers would learn about the brands available to them and their products simply by what the brands themselves told them. They accepted what each brand said on face value and took it as gospel – after all, why would brands lie or manipulate the truth? Whichever brand could shout the loudest would often win the battle; whichever brand could shout the loudest for the longest would win the war. Whether this be through television ads, posters, billboards or radio – anything that falls under the traditional advertising umbrella with maximum exposure were brands’ go to marketing activities. Of course, brands still do traditional advertising for brand awareness, which still goes down well with consumers and sparks conversations (there’s no denying the popularity and buzz around John Lewis’ Christmas adverts in the UK as soon as we hit November) but revenue generated from this marketing stream is in rapid decline. What has prompted this change? Consumers are increasingly brand conscious and brand sceptic. What does this mean in plain old English? They care more about the brand they associate themselves with to maintain a consistent personal image, and for ethical reasons too. A decreasing level of trust towards brands also comes into play. This decreasing level of trust in brands is being transplanted into influencers and even strangers – yes strangers! Ever stayed in an Airbnb, booked a restaurant or bought an item off of Amazon based on customer reviews? Read on to learn of the ways in which consumers’ behaviours are changing and what this means for micro-moments. Searches on Google including “product reviews” have grown by 35% in the last 2 years. In addition to this, YouTube videos with “review” included in the title have also reached a total watch time of 50,000 years on mobile alone in the last 2 years. That consumers are pretty well informed of their product options (by the brands themselves, their own research or influencers), but they’re conducting their own personal brand validation by seeking out reviews from both influencers and strangers before they enter the buying journey. Working with influencers can effectively supplement your other marketing and advertising activities to get your customers over the line and increase conversion rates. Over two-thirds (68%) of smartphone users check their phones within 15 minutes of waking up in the morning; 30% admit to even experiencing feelings of anxiety and withdrawal when being without their phone. This morning check includes catching up on emails, checking social media notifications and general social media browsing. They are immediately exposed to media from the moment they open their eyes. That consumers are voluntarily consuming media in their spare time; they enjoy looking through their Instagram and Twitter feeds and being inspired and informed. No longer are TV ads making an impact as consumers find themselves distracted by their phones. Working with the influencers that your customers follow and trust to produce valuable content on these channels is a great was to get your brand directly in front of your customers in a non-invasive way. The increase in mobile dependency has fostered a ‘right here, right now’ attitude, in which consumers search for solutions to their immediate requirements. Nearly one third of searches factor in locations and “near me” searches. Whether this be for restaurants, bars or hair dressers. Brand choice and competition is increasing. Consumers can find a local solution to pretty much anything. This need to satisfy their immediate requirements also discourages brand loyalty. Working with influencers on content is a great way to increase your SEO ranking and appear up top when your target customers need you most. Mobile searches including the term “best” have increased by 80% in the last 2 years. This highlights that consumers are wanting to make the right purchase first time, and in their pursuit to achieve this, they’re looking for influencers and peers that have tried an array of products so that they can come to a conclusion on which is the best, rather than experimenting and finding this out for themselves. That consumers are increasingly turning to experts with a wealth of experience and knowledge on what’s available in the marketplace. On the other hand, influencers are earning themselves a living by learning as much as possible about their niche, making it in their interest to test products and services available on the market. 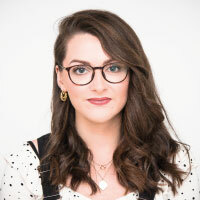 There is a great opportunity to work with influencers in developing, using and reviewing your product, to educate them, and your target customers. Shoppers used to either shop online, in store or via a catalogue – they would browse and make their purchase all on one channel. This slowly evolved to consumers starting their shopping experience on one channel, and then completing it on another – 60% of internet users start browsing on one device, and then proceed to complete their purchase elsewhere (for example, browsing online, then heading into store to make their purchase). This evolution has gone a step further with the increase of mobile dependency. These channel experiences are becoming less separate and are instead beginning to merge. Consumers are heading in store to browse and then using their mobile to do some on the spot research before completing the purchase in-store – 82% of smartphone users consult their mobile phone when making a purchase in-store. That consumers aren’t comfortable coming to a purchase decision entirely on their own. They’re turning to IGC (influencer generated content) and UGC (user generated content) to help them come to a decision on their purchase. This highlights a great opportunity to work with influencers to contribute to your content or co-create content with, to help your consumers come to their purchase decision. Why not discover who your influencers are so that you can be a part of your customers’ micro-moments? Get a free trial of our influencer discovery tool here.